Nowhere to escape! The heat has returned and not just to the Willamette Valley, but the whole state. I even heard that some of the Oregon and Washington beaches could reach the 90s this weekend. Now, I don’t want to sound like a broken record (explain it to your kids), but you need to take precautions during this warm period. Number one, drink lots of water. You will need it, and so will your pets and plants. If either of those look tired or droopy, give them a drink and a rest. That is the second tip. Rest! Don’t try to overdo it. Do your hardest outdoor chores in the cool of the morning and then head inside during the hottest parts of the day. Finally, sunscreen! If you do head outdoors in the sun protect yourself. Wear a hat and use sunscreen. You will be glad you did! It is also Fair time! This week we visited the Clackamas County Fair and the Oregon State Fair. If you are a little older, you probably have some great memories of the local or state fair. If you haven’t been in a while, stop by the fair. While you are there, don’t forget to try the food. As Ken told us at the State Fair, it isn’t the fair if you don’t have a corndog (or elephant ear, or curly fries, etc..) Worry about the diet tomorrow, the fair is a once-a-year time for fun! See you there! Who wouldn’t want to win a blue ribbon at the Oregon State Fair? It isn’t as hard as you think. To learn how to enter something at the fair we stopped by Columbia Hall at the fairgrounds and met with Ken Graves, the Farm and Garden Competition Chair at the fair. He pointed us to the Competitions page on their website, there we found the Farm and Garden Handbook. It was loaded with all the different categories that you can enter in. Some categories include the biggest fruit or vegetable, cut herbs, best vegetable (just about anything you can grow in your garden), plus you can also enter your best flowers, containers and potted plants for awards. They even have awards for the oddest fruit/vegetable and even a scarecrow contest. The best part is that they also have a kid’s division! Another thing that they are offering this year is the ‘Here Comes the Fun’ Creature contest, where you can create a fruit or vegetable themed creature based on the fair’s theme. All the rules and requirements can be found on the links above. You can turn in your entries at the fairgrounds at Columbia Hall on Thursday, August 25th, from 2pm to 8pm. They also have a second show with entries for that show taken on Wednesday, August 31st from 7am to 8:30am. Just look for the signs when you get to the fairgrounds. This year’s fair runs from August 26th through September 5th. Fill out your entry forms on-line and bring your award winning flowers or produce to the fair and you could be a winner!! When the flowers start to bloom it brings out some new pest in the garden. Right now we are starting to see the reappearance of the Geranium Bud Worm, also just called the ‘bud worm’. The bud worm is starting to show up on petunias, geraniums and other flowering plants. What you are looking for is notches in the blooms. Sometimes you will also see notches in the buds themselves. You may also see the little caterpillar that is the problem. It can appear green or a light brown and is sometimes hidden on the stems and under leaves. Right now you can use the Captain Jack’s Deadbug Brew from Bonide. This is a natural product and can be used to treat the problem or as a preventative. It treats the pest bacterially and since it is a natural product it can be used in organic gardening too. Of course we always recommend that you read and follow all label directions. Look for the dreaded bud worm and then look for Captain Jack’s to get rid of the problem. The summer heat is here and the plants are showing signs of stress. That isn’t the only thing they are showing. To see what else you should be looking at we stopped by Jan McNeilan’s place for the tips of the month. We met her in her garden where she had a few things to share. First we started with a couple of gardenias in containers. One had wonderful green foliage, but the other had a ‘faded’ look to the leaves. This was a great example of a nutrient problem with the weaker plant. The sick plant had a magnesium deficiency. The leaves were a lighter color and the leaves were showing a dark green vein pattern. Jan was able to diagnose the problem because of her experience as an Extension Agent, but there are also charts that allow you to do a little problem solving on your own. In fact the chart she found you can find here (‘Nutrient deficiencies in plants’). She was able to solve the problem for this plant with a little Epsom salts. A couple of tablespoons and the plant will be back to health in no time. Next we moved to pears. Pears don’t ripen the way that other tree fruits do. You need to pick your pears a little early. Jan showed us how to gently lift the pear to see if it is ready. If it snaps off when you lift it, it is ready. You don’t want to have them fall to the ground, they are past their prime if you do that. Take the fruit off the tree and put it in a cool place (or a refrigerator) and let it rest for a few days. Then take it out and let it ripen on your counter. It will not be mushy or gritty if you do it this way. We also noticed that Jan’s strawberry plants were not looking well. She told us that she had cut them back with a weed eater. Now is the time to do that with all your June bearing strawberry plants. This will get rid of the old foliage and help them set fruit for next spring. We also talked about fall crops since cooler weather will soon be here. Jan mentioned the Growing Your Own tabloid from Oregon State University. This will help you select the right crops for your garden as our growing season winds down. You can buy a copy from OSU or view it for free at the link above. 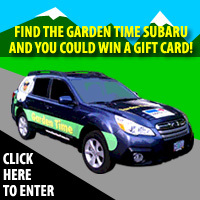 For more gardening information you can always check out the extension website at http://extension.oregonstate.edu/gardening. When you go to the fair or a flower show you may notice the flowers and displays have awards attached to them. You may also wonder who decides the winners. We were able to meet with a wonderful group of judges at the Clackamas County Fair to learn how they judge and how someone might become a judge. The Clackamas County Fair is one of the best in the state and their team of judges are also one of the best. William was able to chat with 6 of them while they were judging. Some of these judges have been judging for decades! First we wanted to know how did they become judges. You start by joining a garden club. You can find a list at www.gardenclub.org. These clubs are the backbone of training for judges. They have schools and offer classes for people who want to become judges. Another tip, grow the plants yourself! You have to grow, in order to show! But how do you determine an award winning flower? You look for the peak of perfection. You start with a 100 point scale and deduct points for anything. They look at petal structure, leaves, stems and even how it looks in proportion to the whole plant. The overall quality of the flower is one of the key factors in judging. How can you help yourself when entering flowers for display? You first have to read the rules and schedule of requirements. If you don’t follow these rules, even if you have a great flower, you could be left out of the competition. They are not looking to disqualify anyone, but they want to make sure the playing field is level for all the contestants. Details are important! If you want to check out the flowers that they judged, and see if you agree with their decisions, you can check them out until the 21st of August (tomorrow) at the Clackamas County Fair in Canby. Website design and content ©2006-2016 Gustin Creative Group. Please send website inquiries to gustingroup@comcast.net. This page last modified August 26, 2016.